Hardware Essentials Barrel Bolts are designed so the bolt fits snug into the chamber reducing risk of mount loosening. These barrel bolts use #7 screws for additional strength and security. 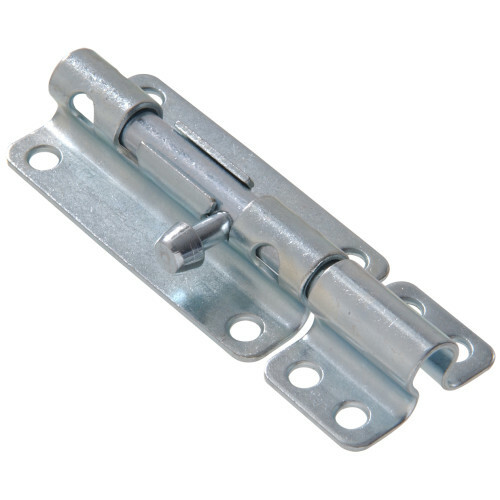 Ideal for doors, sheds, gates and more. Use for right or left side applications. Tools required: marking pencil, power drill, 1/16" drill bit, and a handheld screwdriver.